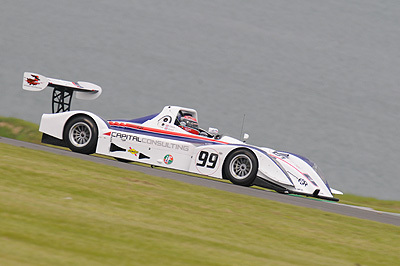 Anthony Dunn & Barry Gates had mixed fortunes in the 2nd round of the VdeV UK series at Anglesey this weekend. The pair got off to a good start with Anthony qualifying the Ligier JS49 on the front row of the grid alongside Rob Garofall's Norma M20F. 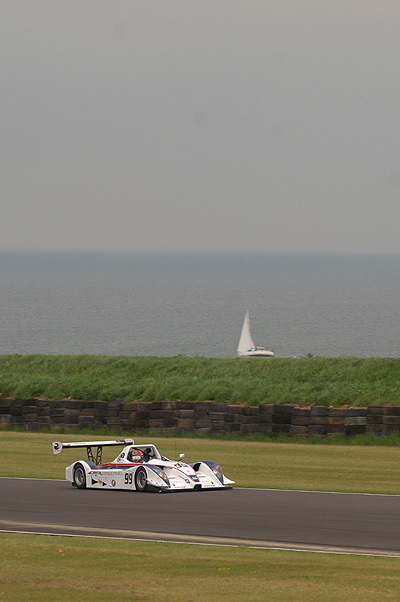 Barry took the opening stint, slotting in behind Adam Derbyshire's Norma on the opening laps. He ran strongly in 2nd place until a spin at the hairpin relegated him to 13th place. He recovered quickly & was soon picking his way back through the pack setting laptimes as the 2nd quickest car in the field, but after just 20 minutes of the 3 hour race, he hit problems with the engine. "I was pushing hard & ran wide on one corner, over some bad bumps which we think dislodged the oil pump belt" said Gates. "I had to pit and although the boys at Chevron Racing did an excellent job to get the car back out again, the damage to the engine was already done and we had to retire shortly after. It was a mistake, which is frustrating but I'll learn from it". 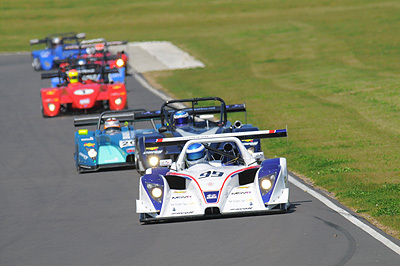 The race was won by Bryce Wilson and Ally McKever in their Ligier ahead of the Norma of Garofall & Simon Phillips. 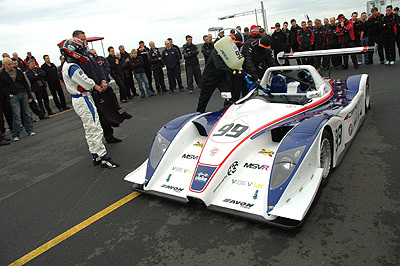 Watch Anthony's 1.22.9 Qualfiying lap of Anglesey!